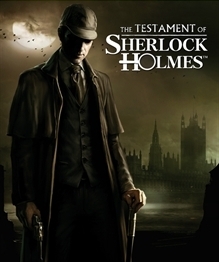 The Testament of Sherlock Holmes was delisted from Xbox 360 in January of 2019 according to reporting from TrueAchievements.com. It was presumably delisted on PlayStation 3 around the same time. At some point in 2015 the publisher of the Steam version changed hands from Focus Home Interactive to Frogwares, also the game’s developer. Since then the game has been delisted on all other platforms, indicating that Focus Home chose not to renew publishing duties on Xbox 360 and PlayStation 3. “Forget everything you thought you knew and discover a Sherlock Holmes darker than ever. The detective’s reputation on the verge of being ruined, the admiration of Doctor Watson toward him is starting to fade and change into hatred as he witnesses his friend committing reprehensible acts. The Testament of Sherlock Holmes uses advanced visual technology in an all-new game engine to provide players unprecedented depth and nuance in their examination and analysis of crime scenes, critical clues, and persons of interest. Through use of elaborately conceived set pieces, every inch of the mystery can be explored. The game’s characters have been comprehensively motion captured, further enhancing the narrative immersion.